Remarks: Photograph taken in Prince Rupert but pole originally from Tow Hill. 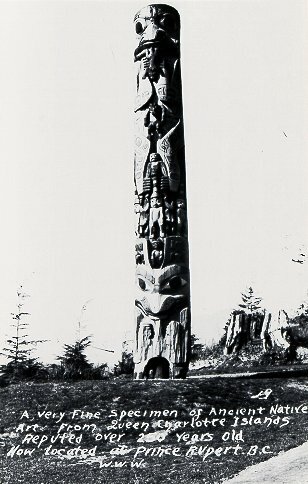 See Drew Totem poles of Prince Rupert page 10 for further information. the pole came to the Prov. Museum, Aug. 1965 and was sent to the Masset Museum, March 1976.